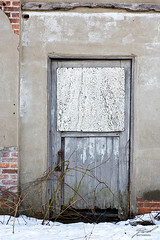 While looking around the side of the soon to be demolished Pork Packing plant in Fostoria, this poor decaying door stood out begging to be captured in pixels. Really digging this image. I love images of decay. It's like looking into the past at what was, while also getting a chance to look into the future of what will become of the things we see today.